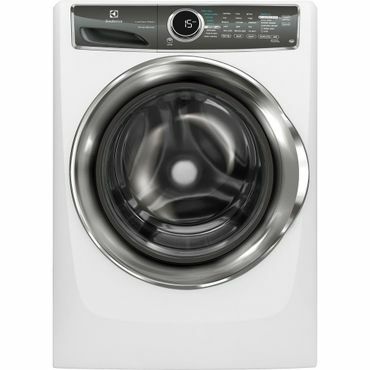 The LG WT7500CW, Electrolux EFLS617SIW, or the high-capacity Kenmore Elite 31633 are the washers to buy if you want a fully-featured, top performing machine in your laundry room. We also recommend plenty of other great top-loading and front-loading washers, at a variety of price points, for an efficient, hassle free laundry experience. Specs that Matter Capacity - 5.2 cu. ft. Preset wash cycles - 14 Size (w,d,h) - 27" x 28.375" x 44.5"
Specs that Matter Capacity - 4.6 cu. ft. Preset wash cycles - 14 Size (w,d,h) - 27" x 27" x 46"
Specs that Matter Capacity - 6.2 cu. ft. Preset wash cycles - 10 Size (w,d,h) - 29.5" x 30" x 43.5"
Specs that Matter Capacity - 4.4 cu. ft. Preset wash cycles - 9 Size (w,d,h) - 27" x 31.5" x 38"
Specs that Matter Capacity - 4.3 cu. 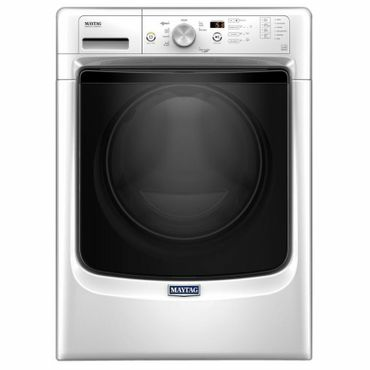 ft. Preset wash cycles - 9 Size (w,d,h) - 27" x 33" x 39.75"
The Maytag MHW3505FW lacks some high end features found in more upscale front-load washers, but it also lacks their high price. Expert reviewers give it solid ratings across the board, and owners rave about it, saying its cleaning performance is excellent. They also say it's very easy to use and its 4.3 cubic foot capacity is a good choice for standard laundry room setups where a higher capacity washer may be a squeeze. This is the classic washer style, and it's popular because top-loading washing machines are easier to load and unload than front-loading machines (since you don't have to stoop over to open them). They also tend to cost less than front loaders. Traditional top-loaders, which use an internal agitator that spins on a vertical axis to churn the water and clean the laundry, are the least expensive type. However, they cost more to run because they use more water and electricity than the newer high-efficiency (HE) models. They also hold less laundry, make more noise and get lower scores (often sharply lower) in professional tests. We do not recommend any agitator-style top load washers in this report, because none get recommendations from the most trusted sources. All of the top-loading washers we do recommend are HE models, so they use less water; but you also must use HE detergent. Front-load washing machines are considered to be the best-performing washing machines available, and they're the most water- and energy-efficient, too. Their horizontal tubs tumble clothes into and out of the water, making it possible to wash a full load with relatively little water and their higher spin speeds wring out more water, so laundry requires less time in the dryer. On average, front loaders tend to be gentler on clothes than top-load machines. Front-loading washers can usually be stacked with a matching dryer to save floor space -- assuming you have the ceiling clearance. However, the most efficient cycle times tend to be lengthy, sometimes an hour or more. The good news is that, if you're in a hurry, virtually all feature a quick wash cycle that speeds things up. Once again, use of an HE laundry detergent is a must with front-loading washers. Our washing machine report is one of the few that we have to check constantly and update several times a year. That's because companies like LG and Samsung frequently discontinue models -- even those that are very popular and highly rated. So, if you find a washer here that doesn't seem to be available, please email me so I can investigate. Washers are not recalled as often, but it does happen. In November of 2016, Samsung recalled 2.8 million top-loading washers due to reports of lids detaching and flying across the room. Nine injuries were reported. 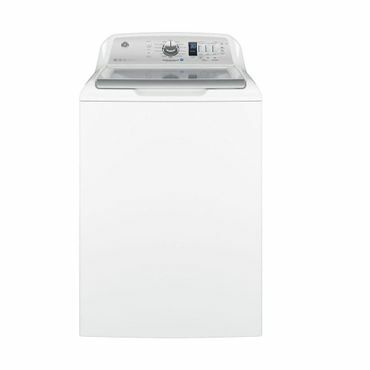 You can read a full list of the recalled washers here. If you already own one, you can request a remedy from Samsung. These washer are no longer for sale at retail, but if you decide to buy a used washer, be sure it's not on the recall list. For that reason, we are quoting the manufacturer's suggested retail price in this report, even though they are almost always found on sale for at least several hundred dollars less. 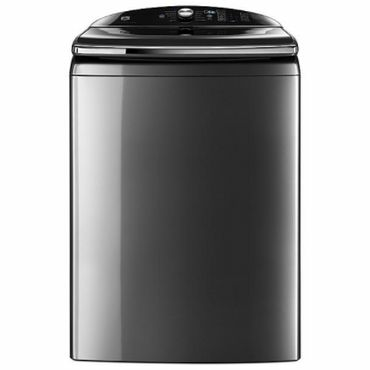 For example, one of the priciest washers in this report -- the Whirlpool Cabrio that we cover in our section on top loading washers -- retails for $1,200, but when we were compiling this report it was on sale for $800. In other words -- don't be put off by a seemingly "high" price, that's more than likely not even close to what you'll pay. What else do you need for laundry day? While this report covers full-sized washing machines meant to pair up with a full-sized clothes dryers, which are covered in their own report, your laundry room may be too small for that combination -- especially if you live in an apartment or condo. If that's your situation, we cover laundry centers -- models that combine a washer and dryer in one unit -- in our report on washer-dryer combos. Also, to press out the last of the wrinkles in your dress clothes, or to just put the finish on your look, check out our reports on steam irons and garment steamers. "The Best Washing Machines for Your Next Laundry Room Update"
The most credible sources for washing machine reviews, Reviewed, Consumer Reports and Good Housekeeping, are frequently updated and all three offer thorough, well-explained testing, making it easy to come to a consensus for our top picks. 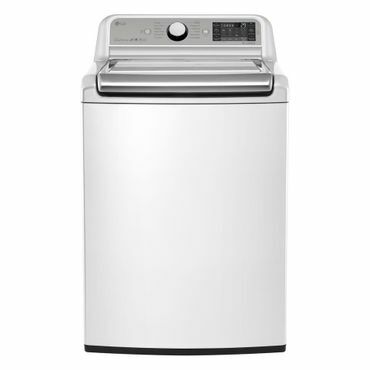 CNET also reviews washers, although not as many and they tend to focus on more high-tech options, but some of the washing machines they review are highly-rated elsewhere as well. Owner-written reviews rounded out the picture, especially when it comes to gauging long-term durability as well as the manufacturer's response to complaints and warranty issues, considerations that aren't measured in professional tests. We found the best user reviews for washers at retailer sites such as Home Depot, Best Buy, and Lowe's. Some retailers, such as Home Depot and Lowe's, also host reviews that originated elsewhere, notably the manufacturers' sites. However, we took the existence of these duplicated reviews into consideration to find those washing machines that truly score with owners.